Why this happened isn't terribly clear to me, but the weasel-faced can't-be-former-congressman-soon enough, Jason Chaffetz (R-UT), has gotten James Comey to delay his testimony for a bit. 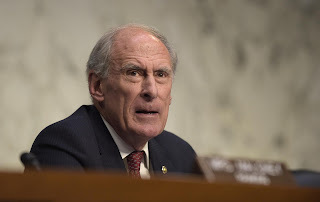 But, in the meantime, Director of National Intelligence Dan Coats is testifying in front of Congress this morning, as is former CIA Director, John Brennan. NBC News has confirmed the Post report that Trump asked Coats and Rogers to say there was no collusion, a request they found inappropriate. In the few minutes I watched Coats, he didn't deny that.